Dr. Cynthia Lubin Langtiw is a proud alumnus of The Chicago School of Professional Psychology. Cynthia Lubin Langtiw earned a doctoral degree in clinical psychology from The Chicago School of Professional Psychology. 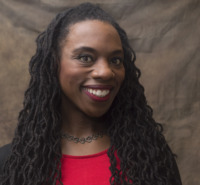 She also holds a master's degree in clinical psychology, with a focus on community psychology, from the University of Illinois at Chicago and a bachelor's degree, with honors, in psychology from the University of Chicago. She is currently a volunteer clinical supervisor with the Chicago-based Marjorie Kovler Center for Survivors of Torture. She has been a clinical volunteer with The Kovler Center since 2001. Dr. Langtiw received clinical training at the Office of Applied Psychological Services and psychiatry department at the University of Illinois at Chicago; the University of Chicago Center for Cognitive Therapy; the Marjorie Kovler Center for Survivors of Torture/International FACES; and the TriCity Community Mental Health Center in East Chicago, Indiana. She has also worked at Chicago-based Mount Sinai Hospital's Under the Rainbow program for Child and Adolescent Behavioral Health. She is a licensed clinical psychologist. Her clinical work reflects a strong systemic/community sensibility that integrates a relational cultural perspective. Her areas of expertise include cultural diversity, immigration/migration, trauma, yoga and body based based therapies, expressive therapies, spirituality and religion and self-care. Dr. Langtiw has a strong passion for teaching and clinical training, and enjoys supporting students in finding their voice in psychology. Her teaching approach is based on the philosophy that both the scholar and educator engage, interact with and experience the substantive material of the course. Through this dynamic process, they are changed by and change that very same material through their unique understanding. Becoming a psychologist is a dynamic and transformative process. Dr. Langtiw strives to provide a safe and unencumbered space for that transformation to occur. Langtiw, C.L. & Heidbrink, L. (2016). Removal, betrayal, and resistance: Comparative analysis of black youth in the U.S. and Haitian-descendant youth in the Dominican Republic.. Community in Global Perspective, (2) (2), 40-55. I place a high value on education. That is to say that I view education as not only a means to an end, but I find great value and meaning in the process itself. My teaching philosophy is highly influenced by the work of educator/philosopher/visionary Paolo Freire. In his seminal piece, The Pedagogy of the Oppressed, Freire debunks the idea that students are empty receptacles in which information is "banked" or deposited. Instead Freire espouses an authentic approach to learning, in which together scholar and educator engage, interact, and experience the material, and thereby are changed by and change the material. My hope is to provide a safe and unencumbered space for learners to be transformed. At our best we are connected. We are connected with ourselves. We believe that the best is in us and that we can live that authentically. We are connected with our families, friends, communities, and societies. There is congruence. I believe that we experience the deepest sorrows and difficulties when there is disconnection. When we are out of sorts, or disconnected, with a part of ourselves, family, friends, communities, or society, there is incongruence. My belief is that by identifying salient disconnections and working towards reconnection that one is on the path towards healing. As a clinician, it is my aim to respectfully and gently sweep that path and guide the way towards reconnection, healing, and hope. When I was 10 years old I was convinced that Harriet the Spy (by Lois Fitzhugh) was my alter ego. At one point she says "I want to know everything, everything," ..."Everything in the world, everything, everything. I will be a spy and know everything." For as long as I can remember there has been an overwhelming desire to know. I would, and still do, read anything and everything. I realized that at the heart of that desire was a desire to know people, to fully understand human nature. That understanding has forged a compassion for others and dedication to a noble field that seeks to know, not only know, but also act on that knowledge. This is an awesome undertaking. You can not do it alone. Take care of yourself. Take care of each other. The person sitting next to you in seminar will be a coworker, supervisor, or supervisee in 5 years. Take advantage of the faculty. Bend their ears. Go to colloquia. Stay after and ask questions at colloquia. For that matter ask questions everywhere and anywhere. Don't just take in learning, but engage in learning. Build connections, build community. You will be better for it.